Welcome! We hope you’re ready to start your journey at Lakehead-Georgian. To make sure you’re ready for one of the biggest adventures of your life, follow these important next steps to make sure you’re prepared. We’ll be reaching out to you over the summer months (so be sure to check your email regularly), but if you have questions or require further information, please contact us. We look forward to speaking with you and guiding you through this new adventure! Check your Offer of Admission for any conditions and ensure you’re on track to satisfy your requirements. These conditions will be included in the hard copy sent to you in the mail. You can also view it electronically in myInfo under “My Admission Assessment Letters” in the Applicants tab. Don’t forget to pay your confirmation deposit. MyInfo is the student information portal. MyInfo is where you can perform a variety of functions related to your enrolment. Through MyInfo, you can apply for bursaries, register for classes, view your class schedule, check your tuition fees and account balance, and more. Through MyInfo you can also access the Georgian Student Portal for information about on-campus events, student services, etc. MyEmail is your Lakehead-Georgian email account. The username and password to access MyEmail is the same as your MyInfo account. All communication will be sent to you through this email account. Important information regarding registration, orientation, scholarships and bursaries, residence, upcoming events and more will be delivered to you using this email account. MySuccess is Lakehead’s student success portal and is operated by the Student Success Centre (SSC). The username and password to access MySuccess is the same as your MyInfo and MyEmail accounts. You can use this portal to book one-on-one appointments related to academic support and skills, writing support, career services, and co-operative education. In MySuccess you’ll find information regarding the tutoring schedule and can access the Lakehead University Job Bank and volunteer opportunities, see upcoming SSC events, sign up for leadership programs and workshops, and update your Lakehead Co-Curricular Record. MyCourseLink is the online learning management system for your online courses and the web-based component for your on-campus courses. The username and password to access MyCourseLink is the same as your MyInfo and MyEmail accounts. Through MyCourseLink you can access online course materials (e.g., syllabus, course readings, audio and video material, etc. ), take online tests and quizzes, participate in discussion forums and other communication tools, submit and retrieve assignments, view grades, and much more! Lynda.com is a free online service where you can access courses and videos in software, technology, business, and creative skills. The username and password Lynda.com is the same as your MyInfo and MyEmail accounts. Lynda.com features include learning paths, mobile access, offline viewing, new courses weekly, exercise files and assessments, and certificates of completion. You can find your timetable under “View My Course Schedule/Timetable” in myInfo. You can make changes to your course registration at any time up until the last day to drop a course. The Academic Schedule of Dates along with other important dates can be found in the Academic Calendar. If you need help, our Student Central team is also here to provide assistance at 1-800-465-3959 or studentcentral@lakeheadu.ca. Moving away from home to attend Lakehead-Georgian? Our on-campus residences offer everything you need to make your experience fun and safe. Check out the Barrie Campus residence website to discover all the advantages of living in residence, see what amenities are included, and to take a virtual tour. If you would like to apply for a room in the on-campus student residence, now is the time. The deadline to apply for residence is July 1. Apply today. Meal plans are available through Chartwells Food Services. If you wish to purchase a meal plan, please email mealplan@georgiancollege.ca. Saving and budgeting for your education is the key to success. It’s important to remember these three things: costs, resources, budget. Your costs are: tuition, fees, residence, food, books and supplies, entertainment, a trip home, etc. If you put all of your costs onto one page and add them up, that’s how much you can expect to pay for the school year. A good way to start is by checking the cost of your tuition and fees. Lakehead University also offers over $11 million in funding each year to new and returning students. Take a closer look at the various funding opportunities available to you. A budget puts your resources and costs together. You’ll want to create a budget each year so you know how much you have to save or how much you have to spend. Complete this student budget form to help you prepare. Questions about tuition and fees? Visit our Finance and Fees page to find out about student fees, payment deadlines, and payment methods. If you need help, talk to us. Our Student Central team can help you prepare, plan, and strategize so that you can focus on your studies. You can reach them at 1-800-465-3959 or studentcentral@lakeheadu.ca. 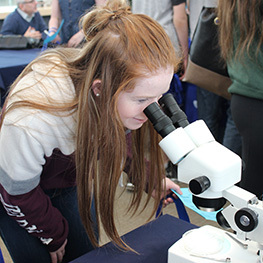 A campus tour is the best way to experience life as a Lakehead-Georgian student. Tours are offered throughout the week at each of our campuses. To book a tour visit lakeheadgeorgian.ca. Our Accessibility services staff can help you with your transition to university. Depending on your individual situation, accommodations may be set up for you to assist you with your academic success. Biindigen/Welcome! If you have any questions or would like more information about Indigenous student events, services and programming, please connect with us. We’re committed to helping you achieve your academic goals and have a wide range of services to help you transition to life in Canada. Lakehead-Georgian wants you to succeed. We encourage you to take advantage of the advice, assistance and supports offered to help you excel in your studies and to plan for the future. See what’s offered on our campuses. Don’t forget to pick up your U-Pass sticker when you get your ONEcard. The U-Pass offers unlimited use of public transit in Barrie to all full-time Lakehead-Georgian students. If you’re a full-time student, you’ll automatically be enrolled in the U-Pass. This is a great an affordable way to get around your new hometown. If you’re planning to drive to the Barrie campus, you’ll need to purchase a parking pass online. Pay as you go parking can be purchased via the Honk Mobile app. Purchasing your required textbooks, course materials, and supplies is essential to your academic success. It’s important to buy them so you have them for the start of your courses. Visit http://bookstore.lakeheadu.ca to order your textbooks online or visit Bear Essentials at the Barrie Campus store to pick up supplies. The Lakehead University Student Union Health & Dental Plan offers affordable coverage to all Lakehead-Georgian (domestic) students and their families. Benefits include extended health, prescription drugs, dental, travel, and accident coverage. Coverage lasts for the entire year, starting September 1. If you have comparable coverage (e.g. through your parent’s insurance) you may be eligible to opt out and receive a refund. The deadline to opt out is September 30. As a new student, you may have lots of questions about your tuition. Visit our Tuition Information page to find answers to all of your questions. Mark these dates in your calendar now and plan to attend. Orientation details and information will be updated throughout the summer, so be sure to check Lakehead Orientation and Georgian Orientation websites for all the latest news. Get social with us! Like our Facebook page (@lakeheadgeorgian) where you’ll find the latest news, upcoming events, and a place to ask all your questions. Attend orientations. This is a must for all first-year Lakehead-Georgian students! Orientation is the best way to start off your journey and learn all about being active in your new community. Grab some custom gear during our Lakehead-Georgian custom clothing days. Head out to a varsity or extramural game to catch all the action and have some fun. Try out the health and wellness services offered on campus. Explore the various volunteer and leadership opportunities available on campus. Become part of the Lakehead University Student Union (LUSU) and/or Georgian College Student Association (GCSA). Consider helping with events or campaigns on campus. Join a club or academic association/society on campus. Stop by the GCSA or meet with your LUSU rep to see all the different ways you can be involved. You can even start your own club based on your own interests. Get involved with intramurals and campus recreation. Stay active, meet others and have fun with a variety of sports. Living in residence? There’s always something going on. Also, consider becoming a Resident Assistant (RA) or even a House President/Floor Rep in your upper years.